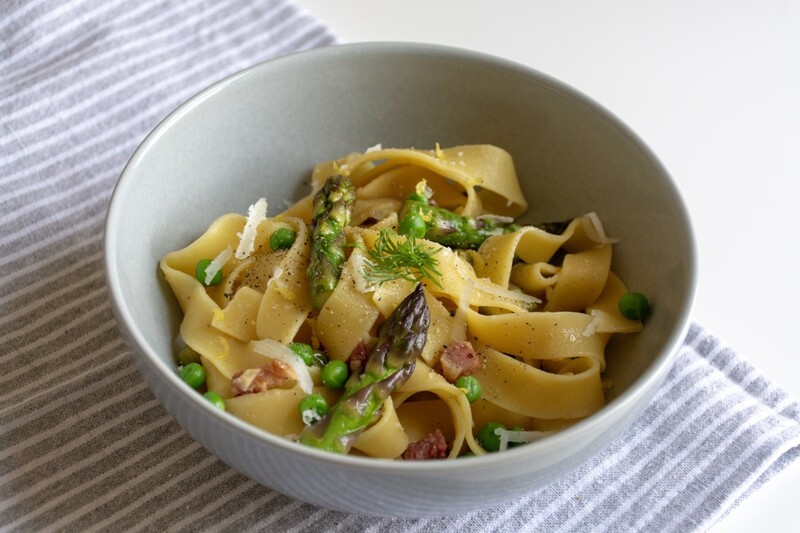 A light spring pasta using in-season asparagus. The 20th of March marked the beginning of spring and with the new season comes warmer weather, blooming flowers, and delicious seasonal vegetables. While you may be easing out of winter comfort foods, don&apos;t let these early spring days pass without knowing what&apos;s in season. 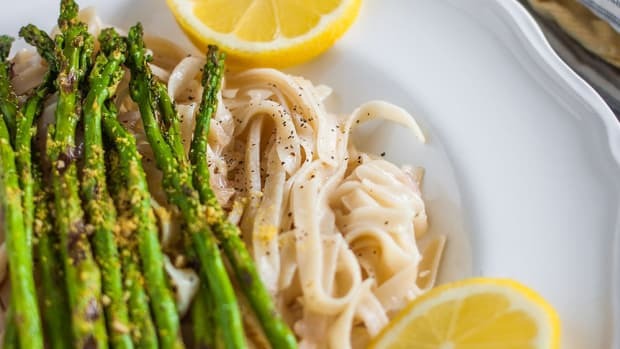 Complemented by just a few ingredients, in-season asparagus brings a pop of color back onto your plate to create this light, flavorful pasta perfect for dining al fresco with good company. Full of vitamins A, B6, C, E, and K, as well as fiber, protein, calcium, copper, iron, and folate, this bright-green vegetable has an impressive list of nutrients. Approximately 22% of the recommended daily allowance of folic acid, a water-soluble B vitamin essential for women planning on getting pregnant, can be found in just four asparagus spears. Asparagus also contains high levels of an amino acid called asparagine, a natural diuretic which benefits the body by flushing out excess fluid and salt. With vitamin A, K, C, thiamine, folate, manganese, iron, and phosphorous packed into these little legumes, it&apos;s hard to disagree that peas should have a place in more dishes. 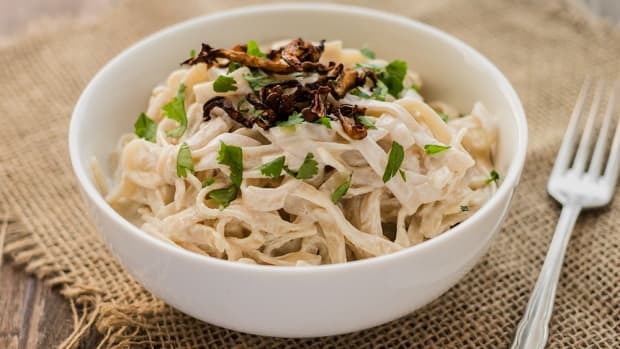 One of the best options for plant-based protein and fiber, a half-cup serving provides about 4 grams of each. 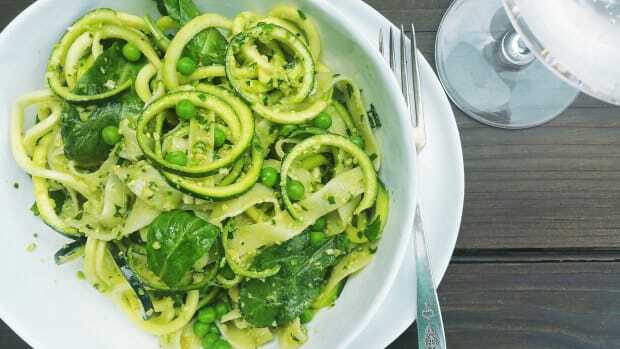 While peas are also a seasonal spring vegetable, this recipe calls for frozen peas. Why? Well, aside from the obvious convenience, frozen peas are often better than their fresh counterparts. Like other frozen fruits and vegetables, peas are picked at the height of freshness and then flash-frozen, locking in all the nutrients, sweetness, and vibrant green color. Fill a large pot with water and bring to boil. Next, mise en place, or prep your ingredients. Remove the woody ends of the asparagus and discard. With the remainder of the spear, cut asparagus into 1-inch portions. Mince garlic finely. Set aside. Cut lemon into half. With a Microplane grater or zester, zest half of the lemon, carefully excluding the white pith. Into a separate container, juice the half lemon, discarding any seeds. 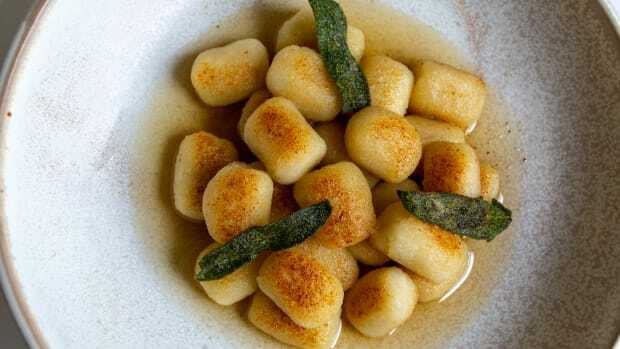 Dice pancetta into small pea-shaped parts. Set aside. Measure out 1/2 cup of frozen peas. In a large pan, heat 1 Tbsp of cooking fat, starting at medium heat. Once cooking fat has heated, add the pancetta. The goal in this step is to render out the fat of the protein. Gradually increase heat until the desired crispiness of the pancetta is achieved. With a slotted spoon, remove cooked pancetta and set aside. If the pan looks to have generated too much fat, remove the excess fat with a regular spoon. With the pancetta pieces removed, bring the burner back to medium heat and add the minced garlic. Sauté garlic for 1-2 minutes, lowering the temperature if the garlic looks to be browning too quickly. Next, add the asparagus. Sauté all ingredients for another 2 minutes then completely turn off the heat. By now, the large pot of water should be at a boil. Generously salt the liquid and add pappardelle. Cook pasta per packaging instructions, between 7-10 minutes. 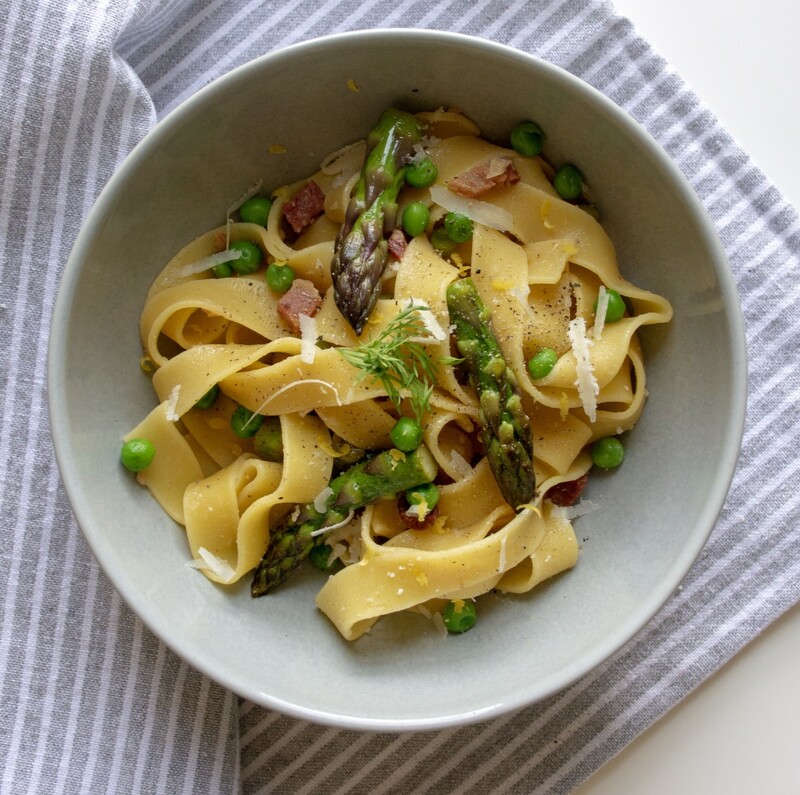 When pappardelle looks to be halfway cooked, add the pancetta back to the pan of garlic and asparagus. Bring to low heat. Add the lemon juice, lemon zest, and stir all the ingredients together. Make sure to scrape up the brown bits on the bottom of the pan. In the final minute of cooking the pappardelle, add the frozen peas. The frozen peas need very little time to prepare. Boil pappardelle and frozen peas together for 30 seconds to 1-minute then turn off the burner. Carefully bring the pot to the sink and drain through a colander. 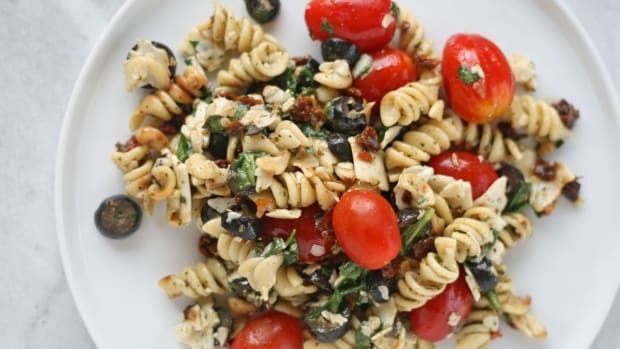 In a large mixing bowl, add the drained pasta and peas mixture as well as the pancetta, garlic, and asparagus. Mix all ingredients and season with a pinch of salt and pepper to taste. (Optional) Top pasta with grated cheese of choice. 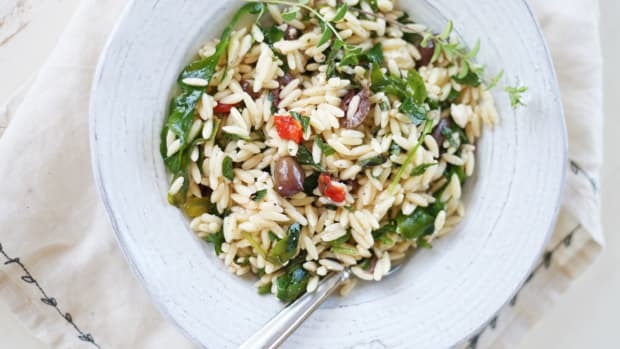 Serve family style or in individual bowls. 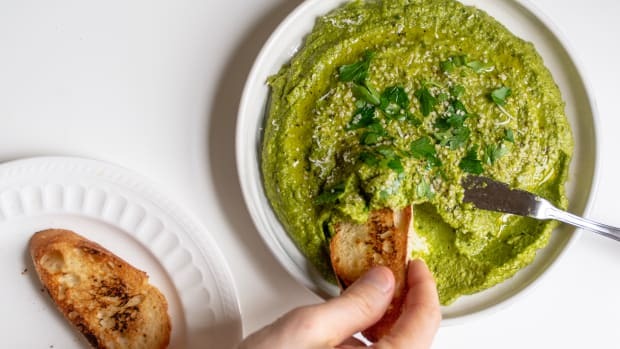 Looking for a creative spin on traditional pesto? 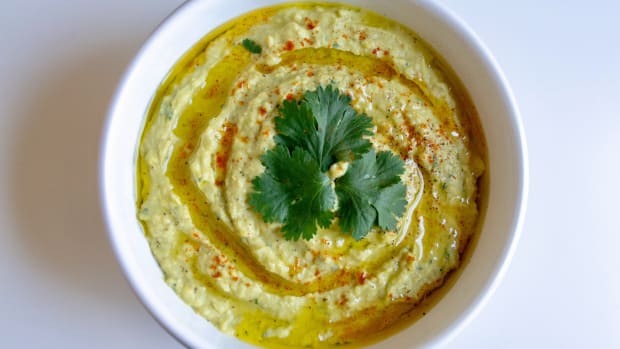 Fava beans are the answer.